Outdoor security camera system generally refers to the multi-camera surveillance system which monitors outdoor activities day and night. You can install these in hallways, entrance, driveways, backyards etc. The system as a whole generally consists of cameras, DVR, and a computer monitor to store and view the footage. 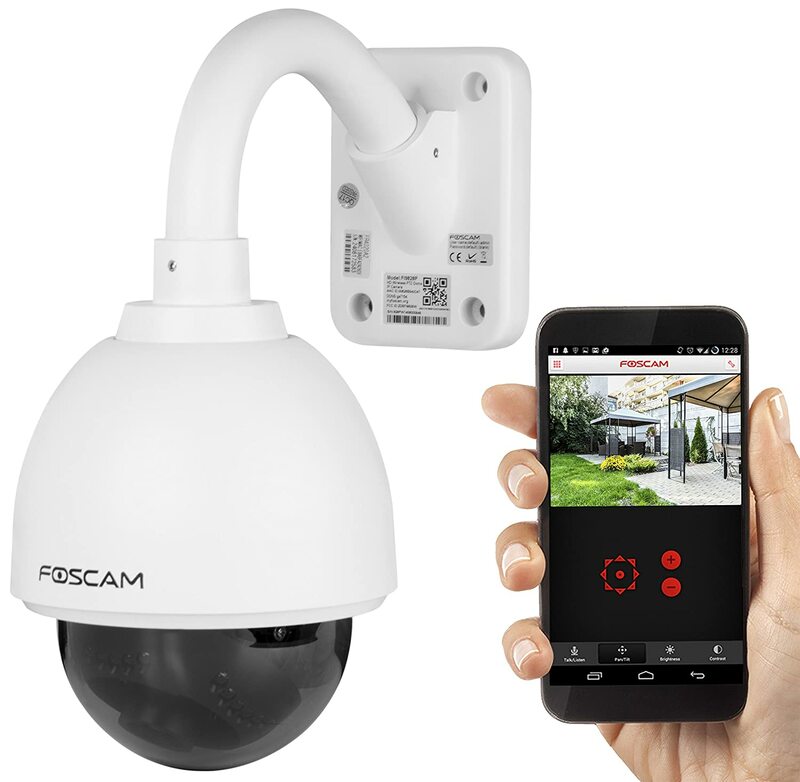 The main features of wireless outdoor home security cameras are wide viewing angle, night vision, and weather resistant capability. There are several types of surveillance cameras based on many features but these are the basic types. The DVR converts and stores the video in digital format in a hard disk or it can be streamed live. Analog cameras are gradually replaced by IP cameras these days. Most of the models have SD card slot which stores the videos directly. Have small size and is clutter free. Based on connectivity, security cameras can be classified into two. Using infrared LEDs, you can see clear images even in darkest areas. All of the security cameras have this feature; you need to check only the IR range. The maximum is the better. Depending on the size of your property, you can decide if you need the wide angled camera. With this type, you will need less number of cameras for the whole area. These are mainly used for large backyards. Obviously, outdoor cameras should be weather resistant. They are supposed to withstand rain, snow, high temperature, heavy winds, and dust. Most of the outdoor cameras have hoods that protect the lens. Some have thermostatic control which automatically heats or cools inside the camera to maintain a definite temperature to prevent condensation to form over the lens. As the name suggests, these are capable of pan, tilt, and zoom. Ideal for outdoors, these cameras can rotate and capture images at a different angle. You only need one of these instead of several cameras and it can be preprogrammed or controlled live remotely. Now we list the best outdoor cameras with above features for every budget. The Arlo Pro can handle snow, rain, and everything else, and runs for months with a battery charge. 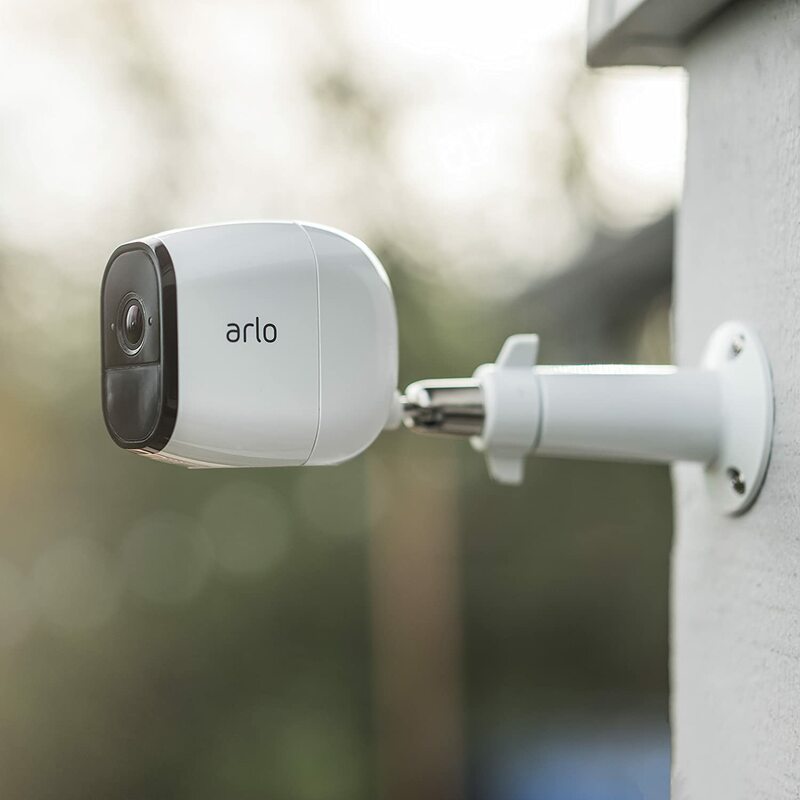 The Arlo Pro is a reliable outdoor Wi-Fi camera that is compact and totally wireless, thanks to a removable rechargeable battery that provide at least a couple of months of battery life on single charge. It is also the only device on our list that offers seven days of free cloud storage and packages motion-activated recordings and audio for each time anyone gets near to it. The Arlo Pro requires a bridge unit, known as the base station, that needs to be powered and connected to your router. The base station is the brain behind the system, but also includes a siren of more than 100 decibels, which can be activated manually through the application or automatically by movement and/or sound. With a viewing angle of 130 degrees and a resolution of 720p, the Arlo Pro provided clear video images during the day and night and the bidirectional audio was easy to understand at both ends. 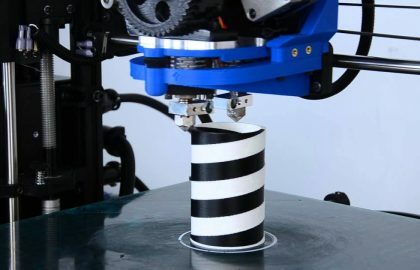 The system also offers the ability to set rules, which can activate alerts for movement and sound. You can adjust the sensitivity level so that it does not alert or record a video clip every time a car passes by. You can also configure alerts based on programming or geocoding with your mobile device, but you can not define custom zones for monitoring. All these controls are easy to find in the Arlo application, which is available for iOS and Android devices. So far Arlo Pro is the best wireless security camera system you can get. 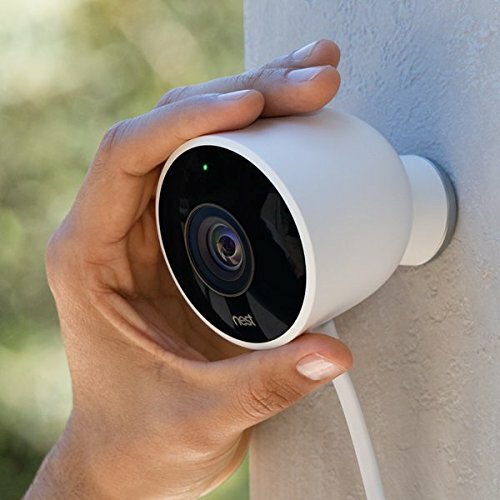 Nest Cam Outdoor continuously records and produces better images than most competitors, but be prepared to pay extra for the features that other cameras include for free. Nest Cam Outdoor is a strong runner-up. It records continuous 1080p video, uploads to the cloud 24/7, and can really distinguish between people and other types of movement. Like the Nest thermostat, Outdoor Cam is also part of the Nest smart devices, which means it can be integrated with hundreds of smart-home products. It is also the only model we tested that has a truly weather resistant cable. However, that cable and the cost of the ongoing subscription, which costs $ 100 to $ 300 per year for the Nest Aware service, is what kept Nest Cam Outdoor costly. Like Arlo Pro, the Nest Cam Outdoor does not have an integrated mount. Instead, the independent mounting is magnetic, so you can attach and position the camera easily. Although it has a lot of flexibility in movement, it needs to be placed within reach of a power outlet, which can be a problem outside the home. Having said that, the power cord is quite long. The camera has a 10 foot USB cable connected, but you can get another 15 feet power cord. The 1080p images and sound of Nest Cam Outdoor were extremely impressive, both during the day and at night. In fact, this camera delivered some of the clearest and most detailed images during our tests, with a wide field of view of 130 degrees and an 8x digital zoom. The Nest application is easy to use and can be integrated with other Nest products, such as indoor and outdoor cameras, the Nest Thermostat and the Nest Smoke Protector + CO detector. You can set the camera to turn on and off at daylight hours, switch to the inert mode depending on the location of your mobile device and much more. Overall, Nest Cam is the best choice if you have (or plan to have) other Nest devices in your smart home. Otherwise, you can go for Arlo Pro which is cheaper. The Foscam FI9828P is a very high-quality outdoor dome camera to monitor your garden, entrance, and yard. 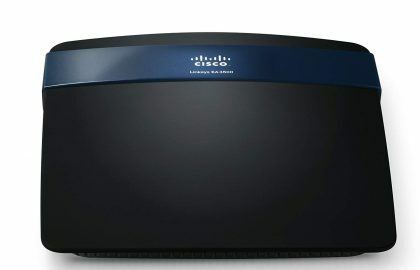 The camera connects to the local wireless network and can be controlled via computer or smartphone from anywhere using the Remote Access DDNS service. The device records in 960p HD resolution at 25 fps. Image quality is excellent, I must say. With the high-quality CMOS sensor and 4mm lens, you get good night vision coverage up to 20meters with 3x optical zoom. Also, the 5dB inbuilt antenna is very useful to increase the WLAN coverage. 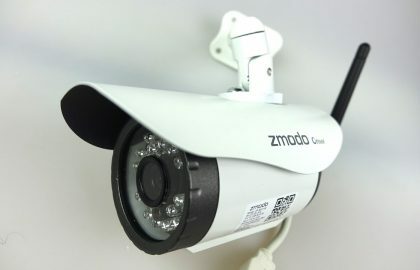 Being PTZ cam, it has a viewing angle of 70 degree which is not the best, but you can Pan, Tilt or Zoom, surely enough for home purposes. The plug and play interface makes it even easier to set up the system. Using the bracket provided, attach the camera to the wall, connect it to your home network and you are good to go. The camera can be connected to the network using Foscam’s Software. You can adjust all the image settings and configuration in the provided software itself. Connect it to your smartphone and can set alerts if any motion is detected and store the footage to your network drive or upload it via FTP server. Using the apps, you can track every detail quick and easy. Overall, Foscam FI9828P is one of the best dome type outdoor cameras for your home. 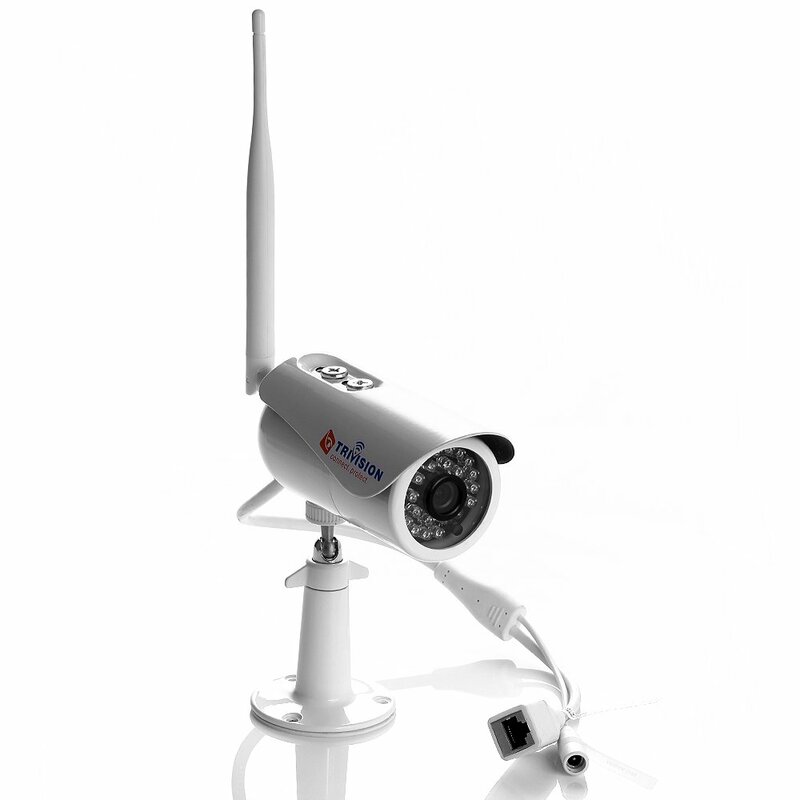 Foscam F19805P is a fairly new outdoor IP camera with Plug and Play interface and a bundle of useful features. The set up is completely effortless. Fix the camera in your desired position, but before that scan the QR code beneath the camera to connect it to the smartphone, and you are good to go. Foscam includes the high-performance processor with 960P HD recording and single SOC chip with built-in ARM + DSP to compress the video files to H.264 which use less storage space and bandwidth. 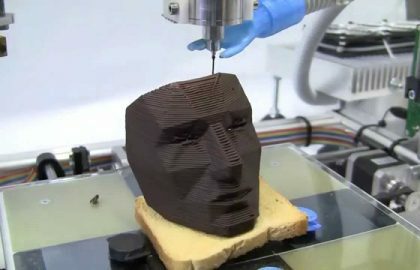 It uses wireless N connectivity with motion detection. You can set the camera to record only if there is any motion in the field. Night vision is excellent, I must say, as it utilizes IR cut filter for true colors. You can see up to 100 ft clearly in night mode. Viewing angle is a bit less though, only 70 degree with the 4mm lens. As I mentioned above, you can connect the camera to a smartphone or you can live stream via Foscam Cloud Service at a paid subscription. 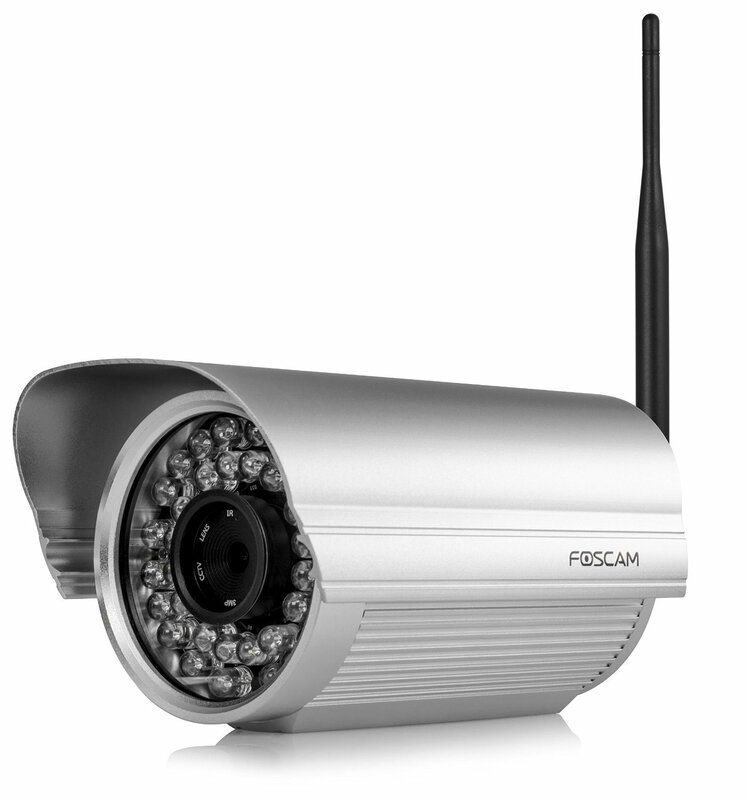 Overall, Foscam F19805P is a nice weather resistant budget-friendly outdoor camera for home. Hikvision DS-2CD2032 is a small yet high-performance bullet camera which gives clear and sharp image even in the darkest areas. Using the 3MP 1/3 inch CMOS sensor and 1080p full HD resolution, the camera captures every detail. You can choose from 4mm, 6mm and 12mm fixed focus lens available. It also comes with H.264 encoding which means the recorded footage will be smaller in size and easier to stream and store. 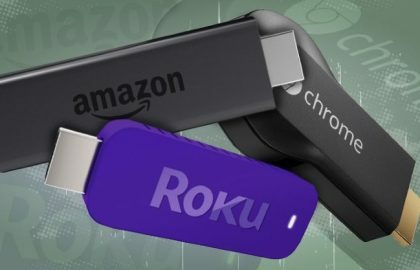 You can save bandwidth and storage space with these. The IR cut filter ensures greater image quality at night. You can see things clearly up to a 30m range at night which is good coverage for a normal purpose. Hikvision DS-2CD2032 is IP66 rated weatherproof and PoE powered. You can use an RJ45 plug and connect the weatherproof connector to the plug. You may need to drill a 1-inch hole to fix the connectors. Adjust the collar to aim the camera and you are good to go. Connect your smartphone to the system using their software to get every detail periodically. It comes with a fixed IP. But you can change it using their SADP software which is provided with the camera. You can change all the image settings and configure as you wish. 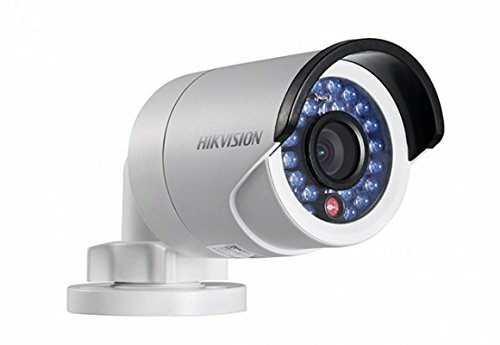 Overall, Hikvision DS-2CD2032 is a rugged compact outdoor IP camera for essential security. Trivision NC-335PW is one of the best weatherproof bullet cameras in the market today. 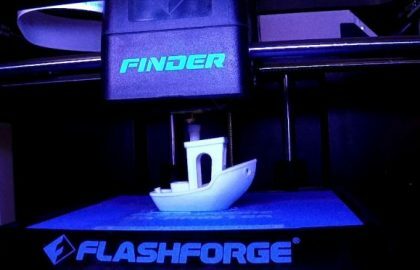 You can install this if you have a big yard since it has a 90-degree pan with 6mm lens. You will get a clean field of view with this. Trivision NC-335PW features 1/3 inch CMOS sensor with 1080p HD quality recording and H.264 compression. You can connect via smartphone, PC, and Mac. Includes all the software in the package. For PC and Mac, you can use CameraLive program and for the smartphone, you can use AnyScene app. You can live stream, upload to cloud or store the footage on SD card. Night vision is also on the high end of the device. IR cut filter gives you clear images up to 45 feet. It also features motion detection alert which means you can set the camera to record only when it detects motion. Trivision NC-335PW features automatic temperature maintenance system which helps in extreme cold. The rated working temperature of the device is from -4F to +140F but if the temperature goes below -4F, the camera self-heat to maintain the rated temperature. This prevents fog formation inside the lens. Overall, Trivision NC-335PW is a rugged weatherproof outdoor IP camera you can count on. DCS-6511 from D-Link aims at small and medium enterprises, replacing the old CCTV cameras with the IP cams. The network camera is weatherproof (IP66 certified) and vandal-resistant (IK10-certified) for using in extreme weather conditions. With the 1/3″ Progressive CMOS sensor, you get 1080p full HD resolution images and the built-in IR cut filter the camera adjusts lighting automatically, while the Wide Dynamic Range function captures clear images even if the object has a backlight. The IR functionality is excellent up to 100 feet range. You can store the video or stream it in three different formats (H.264, MJPEG, and MPEG-4). For streaming, you can use low-resolution videos and for detailed analysis, you can use the higher resolution videos. The DCS-6511is PoE powered and is independent of the conventional power supply. You can change the focus using a computer connected to the network. The robust IP66 certified weatherproof housing is particularly advantageous in extreme environments. A built-in heater and fan allow easy operation at temperatures from -40 ° C to 50 ° C. In addition, the IK-10-certified housing offers protection against vandalism. The software included is D-ViewCam. This allows for central monitoring of up to 32 D-Link IP cameras from single PC. You can also create email alerts and record on motion detection. 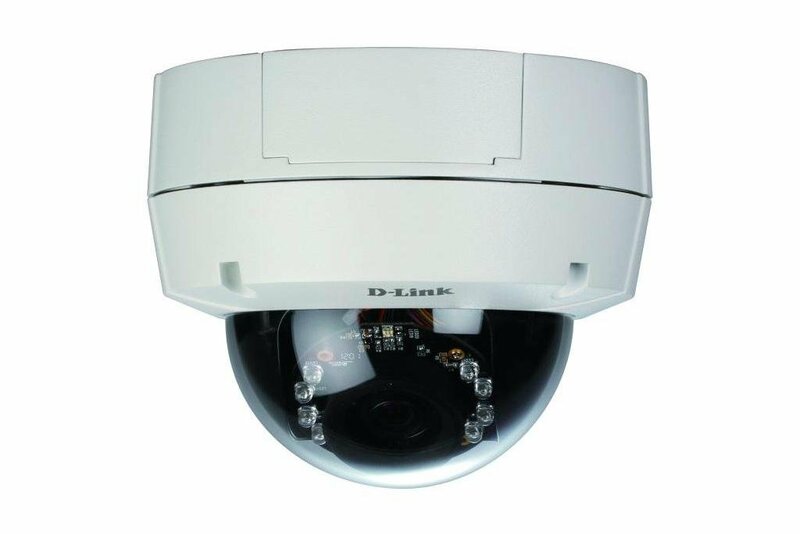 Overall, D-Link DCS-6511 is the best dome type outdoor camera for any office and enterprise.